In order to extract large blocks it is necessary to have a minimum of three free surfaces. 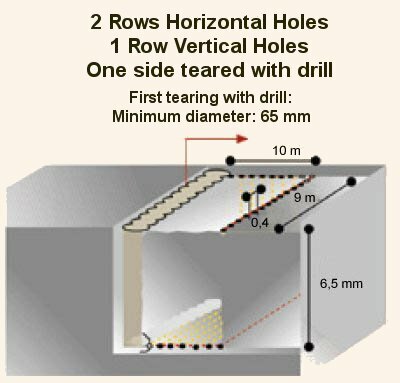 To get the desired results, use a drill bit with a minimum diameter of 65 mm. The picture describes how to proceed to extract blocks in this situation.